Hello Friends! 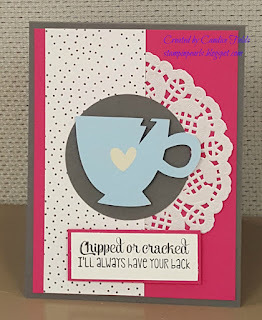 I'm back with another card using the Enchanted stamp set from Jaded Blossom. I also used the Cricut cartridge Birthday Cakes, which is included in the Cricut subscription, for the teacup. 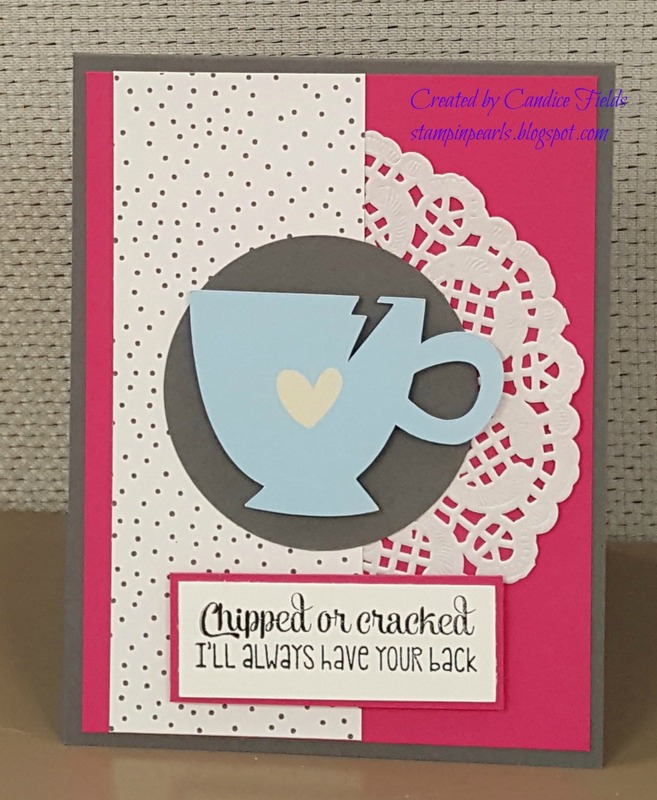 I went through Design Space to find a lighten bolt to create the chip in the teacup. I decided to use the print and cut feature for the image.